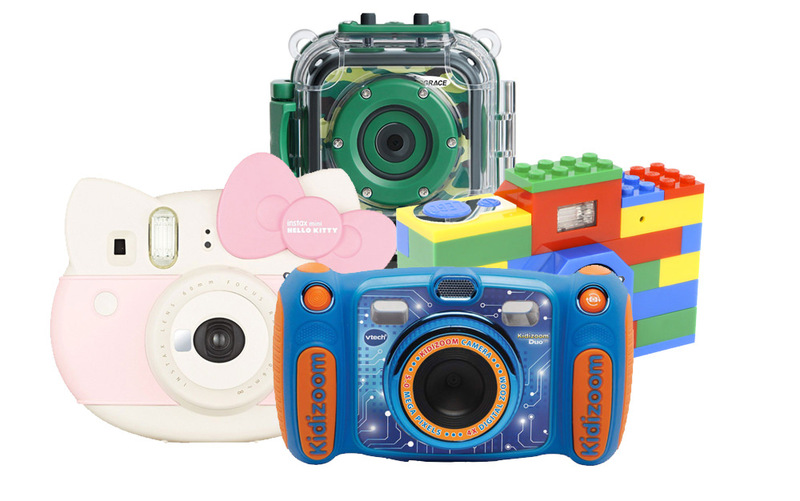 Kids love taking photos and no matter what their age, there is a camera that will suit them. Here we round up some of the best available cameras on the market that are child-friendly. 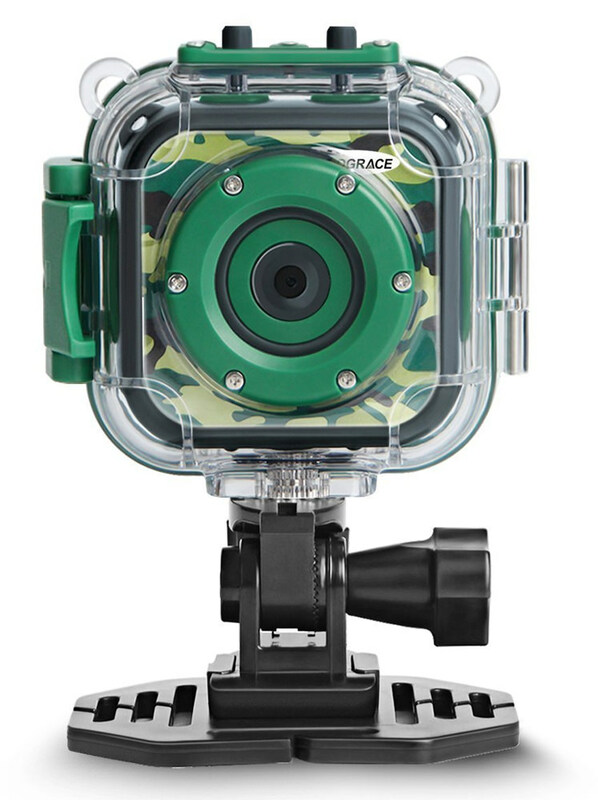 There are a wide variety of action cameras available, this now includes ones designed specifically for children, that are compact, easy to use and as many come with waterproof casing, they can be used to capture underwater action as well as sporty activities out of the water. This is a tough camera for kids that can be used in pools or the sea to depths of 30m. It comes with free accessories and can shoot images with up to 2592x1944 resolution and HD video. Even at a younger age, it's easy to spark a child's interest in photography with fun and colourful cameras that are easy to operate. 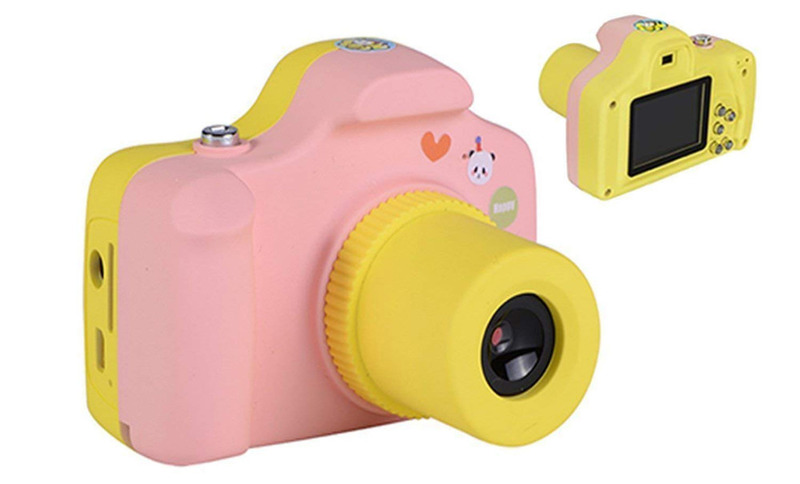 Designed with small hands in mind, these chunky cameras are ideal for kids to grab hold of and experiment with taking their own images. 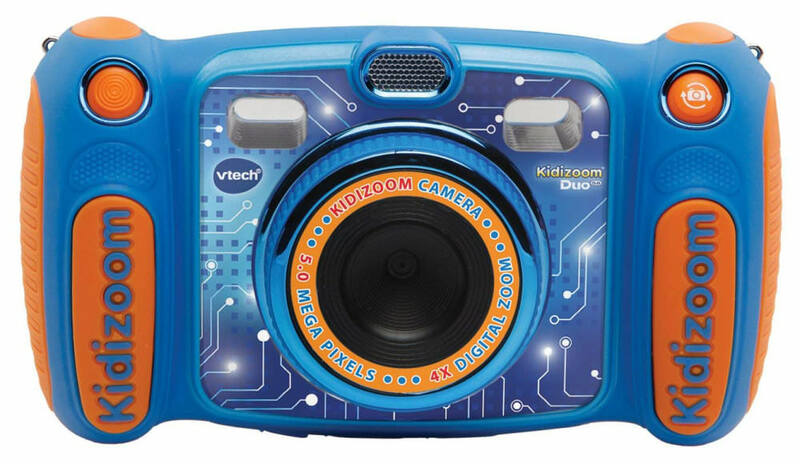 This is the new version of the popular VTech KidiZoom Duo camera that captures 5MP images instead of 2MP. As with the original Vtech Kidizoom Duo camera that's listed next, it features front and back cameras, built-in effects and lots of other features to keep kids entertained. The colour LCD screen still measures 2.4", there's a 4x digital zoom built-in and kids can switch between the front and back cameras by pressing a dedicated button. There's an inbuilt photo editor as well as the option to add effects, stamps and frames to stills, as well as videos, captured with the camera. Two handles and binocular-style viewfinders make the camera easy to hold/use and it's a chunky camera that feels well built so should survive a few knocks. 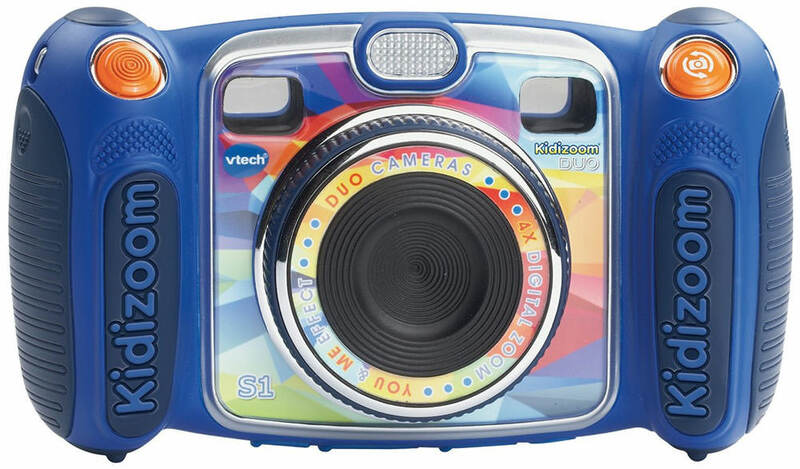 As before, the VTech KidiZoom Duo 5.0 is available in pink and blue, although VTech calls the new cameras 'multi-colour'. The VTech Kidizoom Duo is available in blue or pink. This camera has large handles to make it easy to hold as well as 2 optical viewfinders allowing binocular vision. It features front and back 2-megapixel cameras to allow the easy taking of selfies and has a 2.3-inch colour LCD screen. 4x digital zoom is featured on both cameras. It's great for creativity, with You&Me Photo Effects, 5 games, a voice recorder and photo edition options built in. This innovative idea from Leapfrog uses an iPhone or iPod touch inserted into the protective case to let kids create images and express themselves with the help of an app. Ideal for ages 3-5, this app/case combination can help nurture creativity, self-expression and matching. 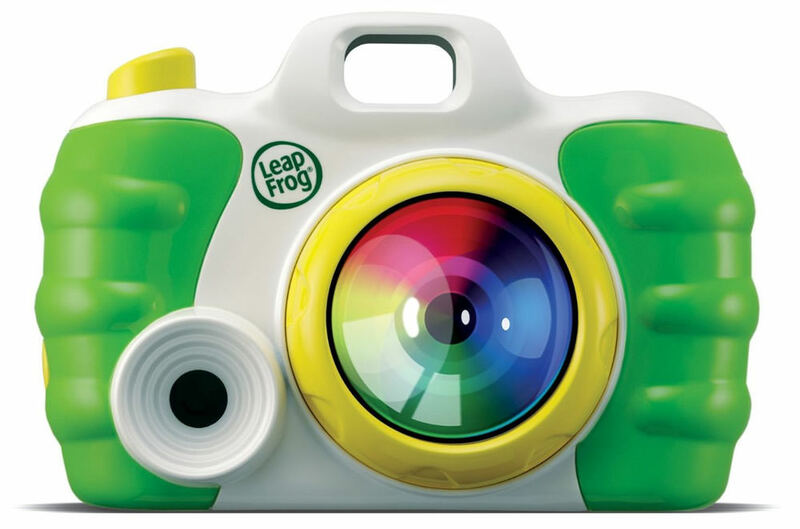 The Leapfrog Creativity Camera App & Case features 6 different use modes including a gallery and editing options with filter, stamp and morph capabilities. There is also a Photobooks option to create themed albums. 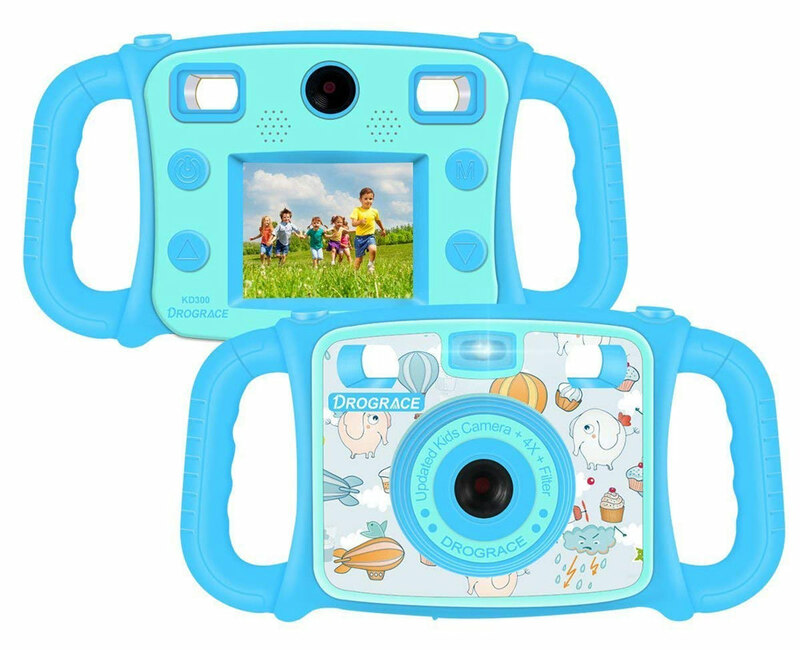 With a familiar 2-handle design, the DROGRACE Kids camera captures 1080p HD video, has a 4x digital zoom, flash, 2-inch LCD and 5MP selfie camera as well as a rear 5MP lens. It features 40 photo frames and 7-colour filters which can be applied to the 5MP images captured with the camera. With a 5MP camera and the ability to capture video at 1920x1080p, this is a decent spec line-up for a kids camera. It's small and lightweight but is a little more complicated to use than the popular Kidizoom camera. Kids of 8 and over and even adults that are interested in how things work will relish in the ability to build their own fully functioning camera. Whether you want to build a digital or film camera, there are options for both. These kits make great stocking fillers and will no doubt occupy a few hours over the festive period. 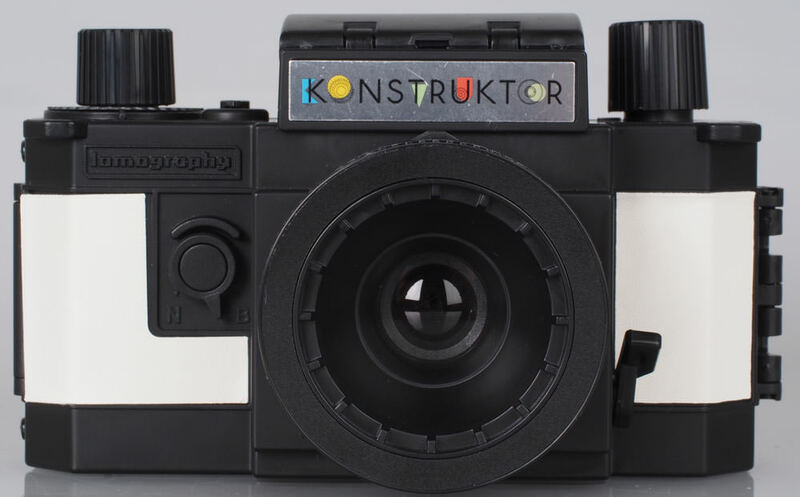 The Lomography Konstruktor is a DIY / Build your own SLR film camera with a 50mm f/10 lens, and is designed to teach you how film cameras work. It is recommended for ages 12+ and is available for around £26 making it an affordable entry into film photography. It's easy to use and has all the basic functions needed allowing you to snap images, wind film on and even take long exposure images. It's also possible to buy different lens adaptors to change the effect. 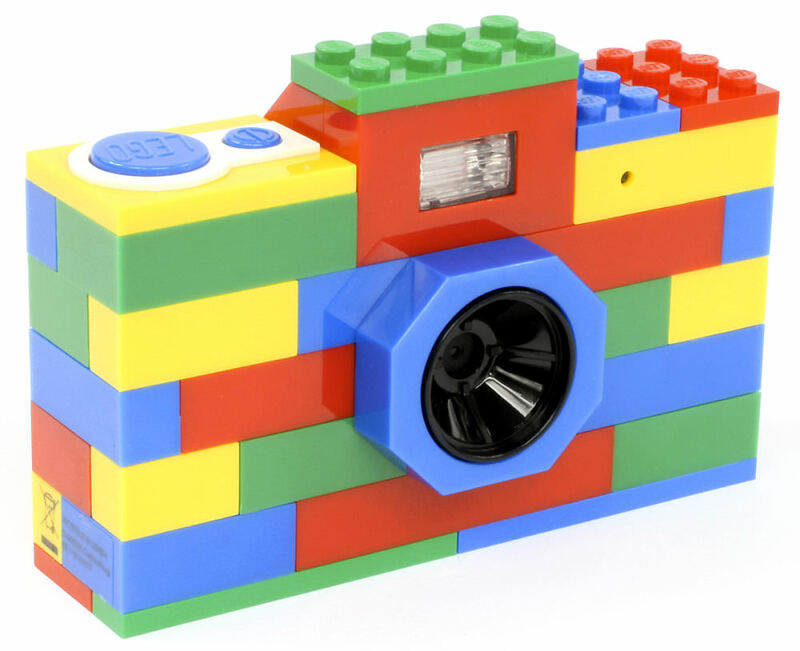 This 3-megapixel Lego digital camera may be quite basic but it features a real flash and 1.5inch screen on the back. You can also add to the Lego camera with more Lego, although unfortunately, you can't take it apart. Ideal for kids obsessed with lego. Recommended for ages 3+. 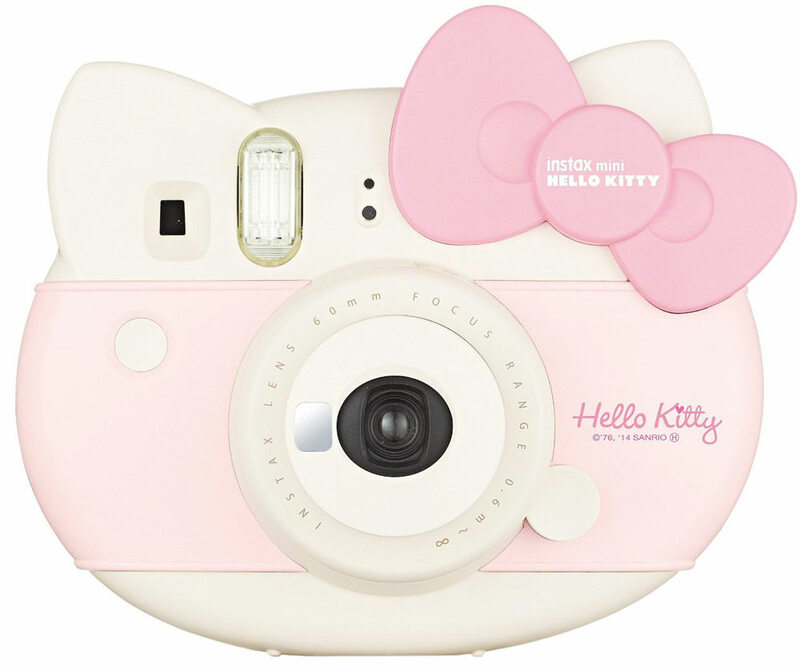 For tweens and teens that want their images instantly, this Hello Kitty themed Instax camera is the answer. It produces credit card sized images and there are several themes of film available to express your creativity. The camera comes complete with accessories and a Hello Kitty themed film pack. There is a mirror on the front to help when taking selfies and a hi-key mode for a softer effect. 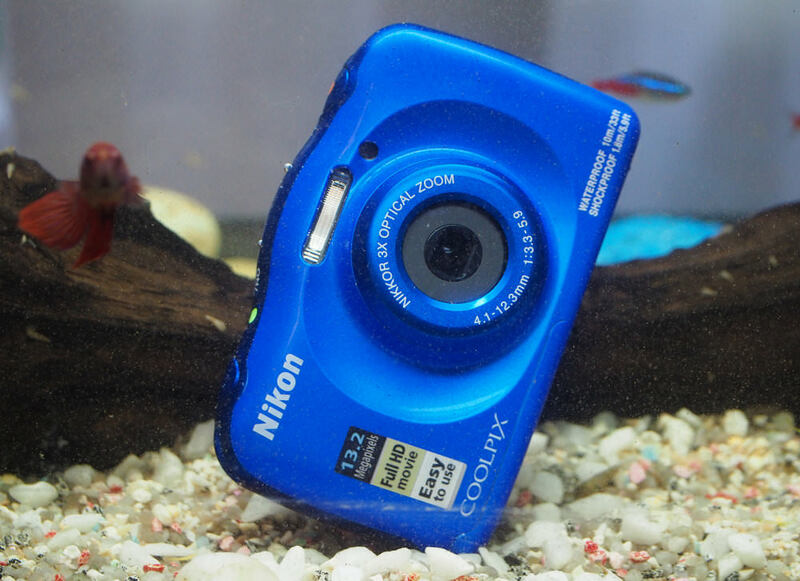 The Nikon Coolpix W100 is an entry-level waterproof camera and will be easy to use for younger kids thanks to its simple, chunky buttons on the back. It doesn't have as many advanced options as some of the other waterproof tough cameras here but offers a nice middle ground of a 13.2-megapixel sensor and 3x optical zoom lens as well as 1080p video recording for kids looking for better performance than some of the novelty cameras. It's available in bright yellow, blue, white or pink. 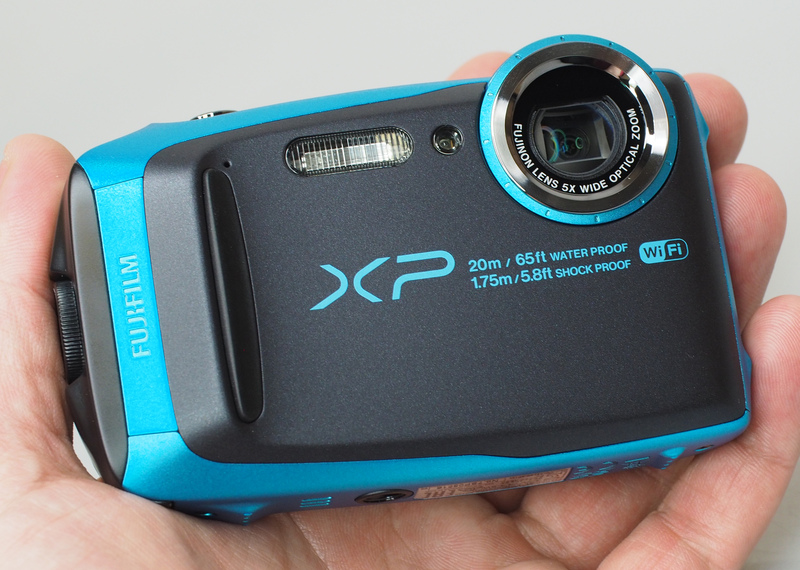 The Fujifilm FinePix XP120 is waterproof down to 15m and is also shock-, dust- and freezeproof. 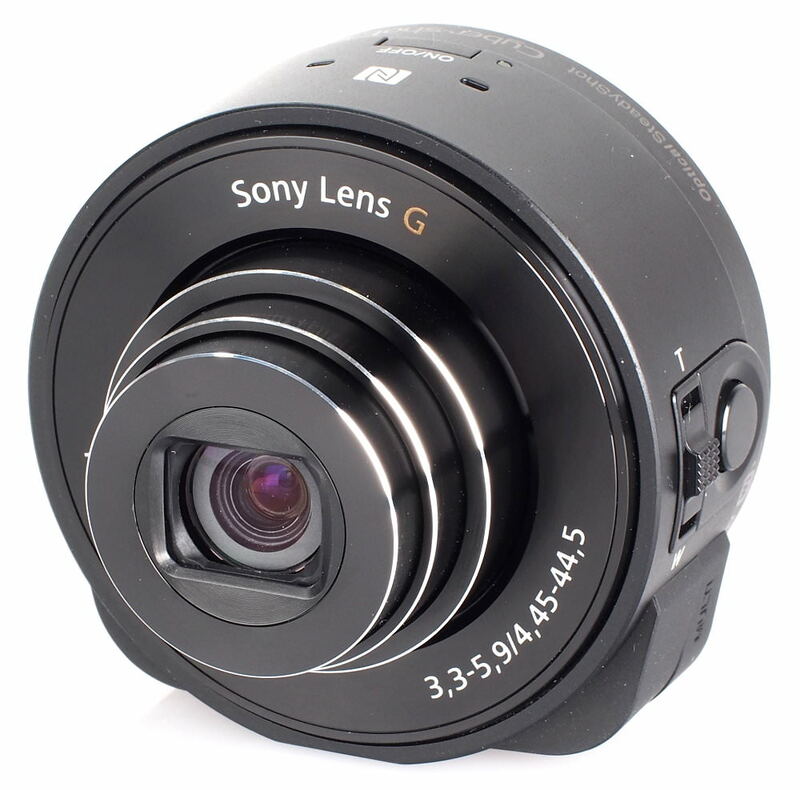 The camera features a 5x optical zoom lens, a 3inch screen, a 16-megapixel sensor and full HD video recording. The Fujifilm FinePix XP120 offers a lot of camera for not a lot of money. Those who enjoy sharing images on social media will be happy to hear Wi-Fi is built-in and charging takes place via USB. If you're looking for a first camera, then there are a number of budget options available, and here's just a highlight. For more budget options, have a look at our guide to the best budget cameras available. 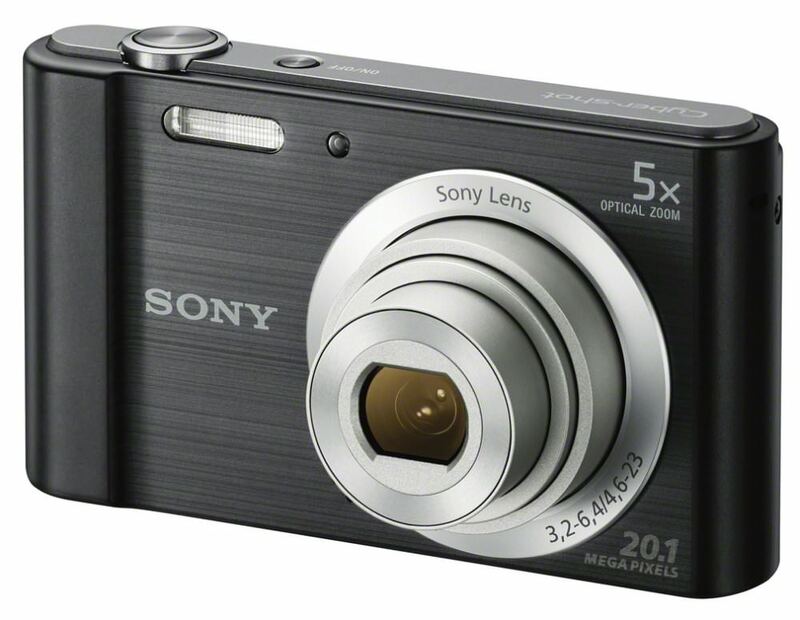 The Sony Cyber-shot W800 is one of the cheapest main brand digital cameras available and offers an easy to use interface, a 5x optical zoom lens, a 20.1-megapixel sensor, but also a number of controls and settings so that you can progress beyond just point and shoot. With a real flash, it also gives more than a smartphone. Teens with smartphones seem to be using them to take images more than ever and if they want to improve images but like their current phone, then a camera that fits onto the phone and uses the phone's screen to view what they're shooting could be an ideal present. These will give better image quality and most importantly, more optical zoom to images, something that some smartphones lack in. The Sony Cyber-shot QX10 adds a 10x optical zoom lens, full HD video recording, and an 18-megapixel sensor to any Android or iOS smartphone, significantly upgrading the camera on most smartphones and giving the extra clarity and reach of 10x optical zoom to boot. We've also put together a top list of character-themed cameras which are perfect for children and for more suggestions of tough waterproof cameras, have a look at our Best Waterproof Cameras list, or alternatively, have a look at our Best Budget Camera recommendations that are priced at under £100. If you want more zoom, have a look at our Best Travel Zoom Cameras. To find the right memory card for your camera, have a look at our memory card guide, and to protect your camera, have a look at our guide to camera bags.